A mother has denied murdering her two young daughters within weeks of each other. Louise Porton, 23, is accused of killing 16-month-old Scarlett Vaughan and three-year-old Lexi Draper in 2018. Both children died in hospital after paramedics were called to reports they had been found ill at their home in Rugby, Warwickshire. 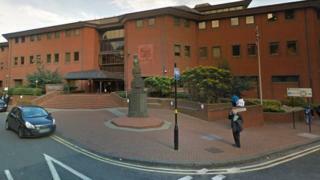 Ms Porton, of Skiddaw, Rugby, will stand trial on 24 June at Birmingham Crown Court. Warwickshire Police said Lexi died in hospital after paramedics were called to reports she had been found unconscious in her home in the early hours of 15 January last year. Scarlett then died on 1 February after paramedics were called to a report she had fallen ill, the force added. Ms Porton, who is pregnant and is expected to give birth later this year, was remanded in custody until a further pre-trial hearing on 17 May.